​Virgil van Dijk has insisted that his mistake against Fulham will fill fellow countryman Ryan Babel with confidence ahead of the upcoming international break. In the final 15 minutes of Liverpool's win over Fulham on Sunday, Van Dijk was involved in a mix up with Alisson, which gifted Babel the chance to tap the ball into an empty net, setting up a grandstand finish. 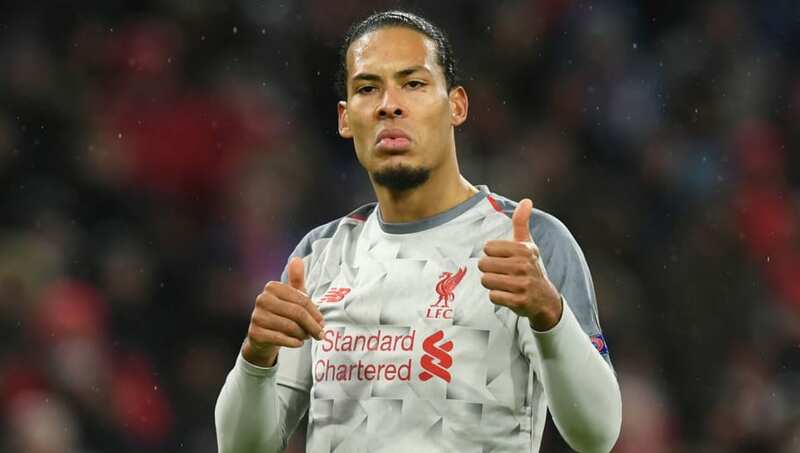 Van Dijk can now afford to laugh about the mistake after James Milner bailed him out with a late penalty, and he has jokingly suggested that his error may have given Babel a confidence boost ahead of the Netherlands Euro 2020 qualifiers against Belarus and Germany. "I thought: let me also give Ryan some confidence for the international matches against Belarus and Germany. Especially because of course we won that match," the ​Liverpool defender said, as per ​De Telegraaf. "We talked about it briefly on the plane and Ryan had posted something on social media, but now all of us are focusing on Orange again." After the Netherlands surprisingly qualified for the Nations League finals in June, Van Dijk has also explained how confident he and his teammates are feeling heading into the international break. "I think everyone who is allowed to report here must be confident," he said, as per ​V​I. "I play all matches myself and have a good level. Hopefully I can continue that. We also expressed confidence in the last period that we were together. "In terms of selection, little has changed. Davy [Propper] has returned and Steven [Berghuis] is there. We are really looking forward to it."